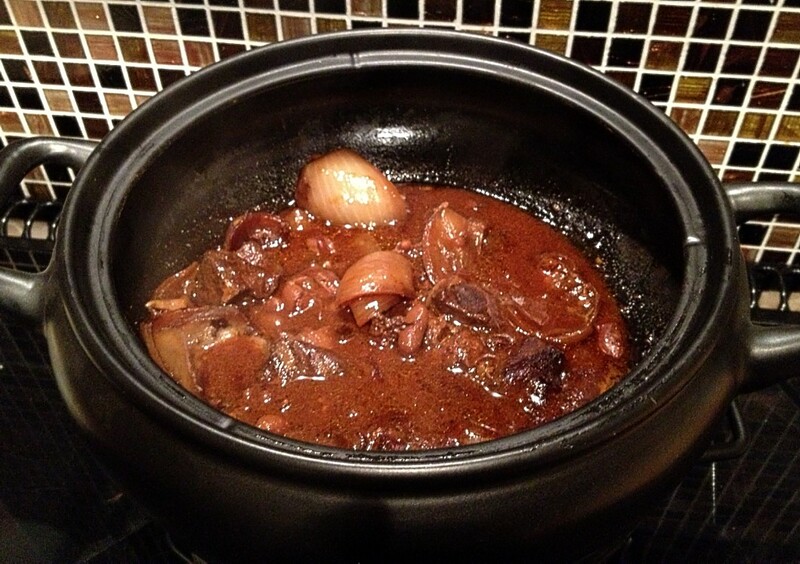 Place the cubed pork in the slow cooker. Take one of the quarters of onions and stud it with the cloves. Put this and the rest of the onion in the cooker, along with the rest of the ingredients. Stir until combined. Put on the lid and set to High. Leave for 2 hours to cook then change to Low and cook for another 4 hours. Remove the lid and place back on High for 1 hour. Make up the corn flour with a little water and add to the stew. Let it cook for 5 minutes. 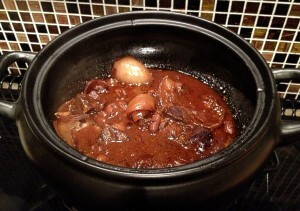 The mixture should thicken.